UK mobile operators Vodafone and Telefonica, better known to those in the UK as O2, announced a new deal this morning that will see the two share their network infrastructure of 18,500 mobile sites to further expand coverage across the United Kingdom and boost the eventual countrywide 4G services rollout. The deal is currently being discussed with industry regulator Ofcom, and will eventually end up in the two telecommunications firms joining their existing infrastructure, with each company taking responsibility for half of the combined network. Telefonica says the move could result in the decommissioning of up to ten percent of its existing mobile sites if approved. Telefonica will take over the responsibility for the new networks management and maintenance along the East of England as well as Scotland and Northern Ireland. Vodafone will manage the joint network along the West of England and Wales. 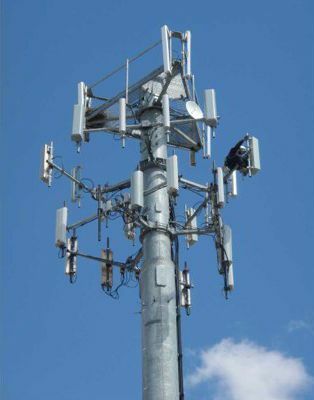 They will maintain their own spectrum and the move will enable them to provide 98-percent coverage to the UK by 2015. "This partnership will close the digital divide for millions of people across the country and power the next phase of the smartphone revolution. It will create two stronger players who will compete with each other and with other operators to bring the benefits of mobile internet services to consumers and businesses across the country," said Guy Laurence, the UK chief executive of Vodafone. The companies say that the move will not affect competition. They were keen to point out that it would be "one grid, [with] two networks" and that both will continue to compete against each other. The partnership promises to speed up the delivery of 4G-capable wireless networks to UK households two years ahead of Ofcom's requirement for 98-percent coverage of 4G in the UK by 2017. "Exceptional customer demand for the mobile internet has challenged the mobile industry to consider innovative solutions to building a nationwide network that will be fit for our customers in the future and support the products and services that will truly make Britain digital," said Telefonica's UK CEO Ronan Dunne. "This partnership is about working smarter as an industry, so that we can focus on what really matters to our customers - delivering a superfast network up to two years faster than Ofcom envisages and to as many people as possible."